My ‘Nicked from Norway’ Plant is Flowering! 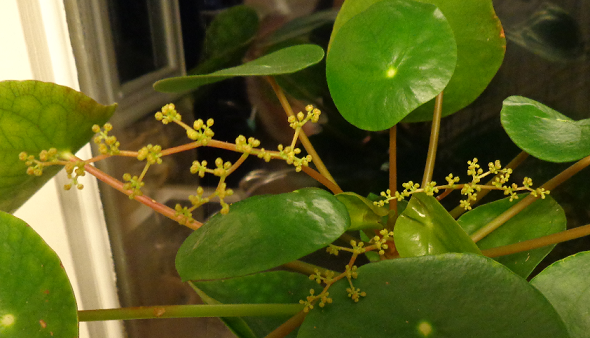 Its real name is Pilea peperomioides, also called the Chinese Money Plant and the Missionary Plant, but in our family it’s ‘Nicked from Norway’ as my mother-in-law brought a small plant back from a visit to Norway, about fifteen years ago. Mine is a third- or fourth-generation offshoot of that original plant and this is the first time I’ve seen one in flower (or at least, in bud). This post is about the intriguing story of how Pilea peperomioides came to be a popular houseplant, entirely below the radar of European botanists and horticulturalists. 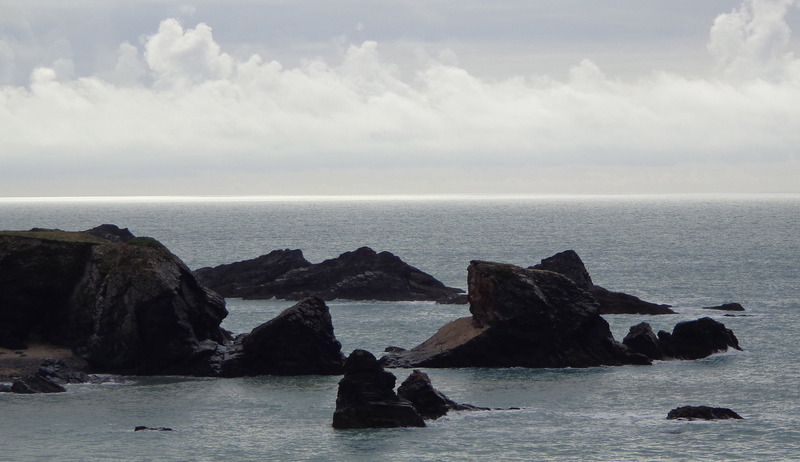 A massive rock fall at Porthcothan Bay, Cornwall, has changed the beach dramatically. 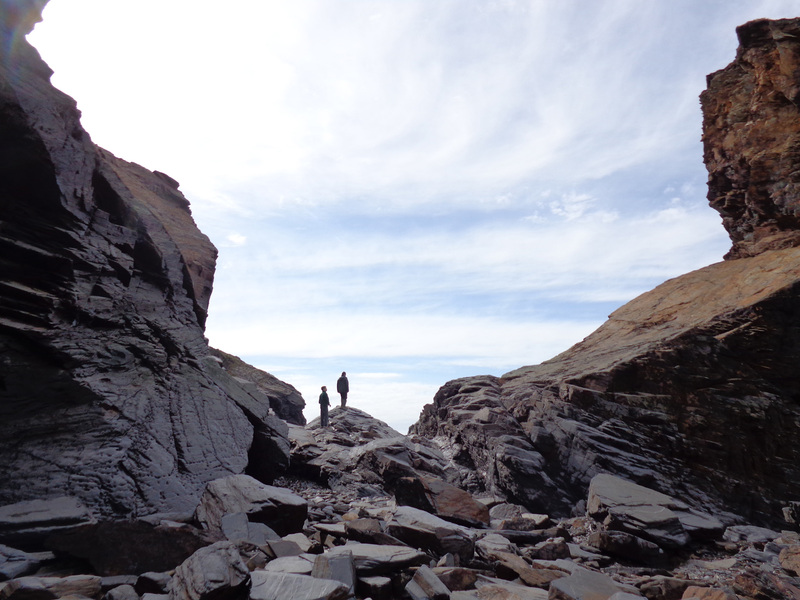 I’ve been documenting the changes since I first noticed a hole in the rock in 2002 – but it’s all changed now! And now – see photo in the Cornish Guardian – and more falls since then shown on Facebook and Sky News. There are some particularly spectacular photos in the Daily Mail (scroll down to the end) and some fine ‘before and after’ photos from the BBC. A drawing by Barry Driscoll (1926-2006) from over 50 years ago. The same view in April 2014.